Et Verbum: Simple instructions On The Holy Eucharist As A Sacrament And Sacrifice by The Very Rev. Geo. Edw. Canon Howe. Part 7. Simple instructions On The Holy Eucharist As A Sacrament And Sacrifice by The Very Rev. Geo. Edw. Canon Howe. Part 7. 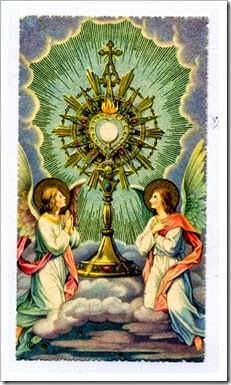 Though we are not dealing as yet with the Holy Eucharist as a Sacrifice, of which the Consecration is the essence, still Consecration comes partially under notice here, as denoting the time when the Real Presence of Our Lord is brought upon our altars, and Transubstantiation is effected. It is the words of Consecration used by Our Lord at the institution of the Holy Eucharist, and now pronounced by the priest in the Mass, that accomplish the Divine mystery of the change of the bread and wine into the Body and Blood of Christ. These words constitute what we have already described as the form of the Sacrament, and are twofold, relating to the bread and wine respectively. They are pronounced secretly but distinctly by the priest in the Mass, in virtue of the commission given to the Apostles and their successors : " Do this for a commemoration of Me" (Luke xxii. 19). Over the bread the priest utters the words : " This is My Body," and immediately kneels to adore the Lord God of Heaven in his hands, come down upon the Altar through the power of those words. 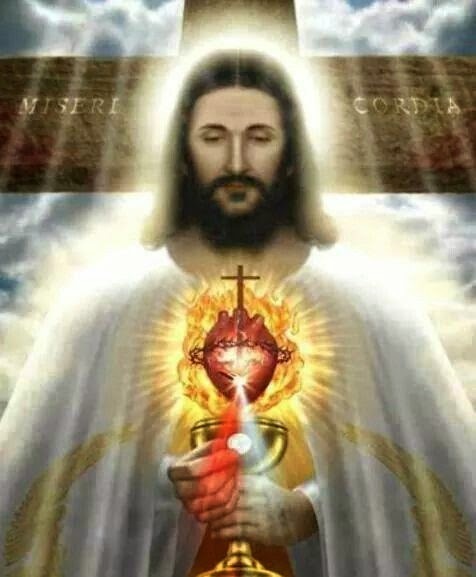 Over the wine he says : " This is My Blood," and in like manner again he genuflects to adore the Precious Blood in the chalice, replacing the wine that was there before, but there no longer, though the appearances thereof remain. The words of Consecration are the most solemn that it is given to man to utter ; they are of Divine omnipotence, since they work daily such miraculous effects, and bring down the very Angels from Heaven to adore their Lord present upon the Altar. At the moment of Consecration, every head is bowed, and silence reigns throughout, while feelings of reverence and awe fill the hearts of all present towards the august Victim before them. We must always endeavour to be most recollected and devout during- these few moments, so solemn and awe-inspiring, that not a few non-Catholics, who have been present at the time, have averred how deeply struck they have been with the sacredness of the moment and the impressive character of that part of the Sacrifice. Any irreverence or wilful distraction on our part at such a time would seem almost to partake of the nature of sacrilege, so great would be the insult offered thus to Our Lord, at the very time of His coming amongst us. A German writer tells of a sacrilegious parody of the sacred words of Consecration, and of the punishment that followed, in a village of his own country, in the year 1807. A blasphemer took it into his head to turn these words into ridicule. Sitting down to table with his companions, he takes some bread and wine, and says over them, with mock solemnity : " This is my Body: this is my Blood." No sooner had he completed the parody, than he laid his head on the table, and in a few minutes he died ! At the very moment the words of Consecration are uttered in the Mass, they effect what they express, that is, they transubstantiate the bread and wine into the real Body and Blood of Christ. In the life of S. Louis, King of France, we read that Mass was one day being said in his palace, when, at the words of Consecration, Our Lord appeared visibly present on the altar, under the form of a beautiful child, whom all were enraptured to see. Word was immediately sent to the king to come and witness the miracle God was working to prove the Real Presence in the Blessed Sacrament. But Louis stirred not. " I firmly believe already," he said, "that Christ is truly present in the Holy Eucharist: I do not wish to lose the merit of my faith by going to see this miracle." And he did not go. On the other hand, want of faith was once miraculously rebuked, when in the village of Bolsena, in Italy, a priest while saying Mass allowed himself to have doubts as to the Real Presence. Our Lord, to lead him to better dispositions caused the sacred Host to pour forth blood, so that the corporal and altar cloths were all saturated. The Pope, Urban IV., on hearing the miracle, had the corporal taken to him, and mindful of the entreaties already made to him, regarding the establishment of a feast of the Blessed Sacrament, was led to hasten the institution of the festival of Corpus Christi, which has been solemnly observed in the Church ever since. It need hardly be said that it is only the priest duly ordained that can effectively pronounce these solemn words, since he alone has received the awful powers of consecration, when he was ordained and raised to the sublime dignity of the priesthood of the New Law. They are valid and effective, no matter by whom pronounced, by saint or sinner, provided only he be duly ordained, for the priestly character and power can never be lost. Thus had the unhappy Judas ever said Mass, his utterance of these words would have been as marvellously productive of the Real Presence, as when any of the other apostles did so. God, in His goodness, does not allow the validity of the Sacrifice to depend on the dispositions of the priests who offer it, so we need not be anxious under this head, nor worry ourselves with uncharitable doubts or suspicions, as to the dispositions of the priest at the Altar. His responsibility is his own, and does not concern us, nor does it affect the validity of the Sacrament or Sacrifice of which he is the minister. N.B. —By recent Decree, Corpus Christi is no longer a holiday of obligation. Like all the other Sacraments, the Holy Eucharist contains three distinct and essential parts; two of these we have already considered, namely, the Outward Sign and Divine Institution Come we now, therefore, to the third essential, and that is' the Inward Grace it bestows, a very practical subject for us all. Here, we have to ask and answer the question : Why does Our Lord give Himself to us in the Holy Eucharist ? In reply, we must first of all remember that all the Sacraments give or increase what is called Sanctifying Grace, or Divine Chanty, in the soul. Baptism confers it in the first instance, and should it unhappily be lost by mortal sin, Penance can restore it to the contrite heart. The other Sacraments increase and strengthen this first Grace, which is presumed to exist already in the soul, when they are sought for and received. But we must furthermore bear in mind that each Sacrament has its own peculiar effect to produce in the soul, its own special graces to bestow—sacramental graces they are called, or why should there be need for seven Sacraments ? It is to these special effects or inward graces of the Holy Eucharist that we have now to give our attention, and a very profitable study it should prove itself to be. The graces It gives are many. 1. The Life of the Soul. —Our Lord says: " He that eateth Me, the same also shall live by Me. ... He that eateth this bread shall live for ever" (John vi. 58, 59). Divine Grace is the life of the soul, as the soul itself is of the body. When considering the types and figures of the Eucharist, we saw how the Tree of Life, in the Garden of Eden, was one of them, inasmuch as that tree was intended to be the support of the bodily life of Adam and Eve, just as the Holy Eucharist is the supernatural life of our souls. The Sacramental Grace of this Divine Gift is : a help to enable us to live by Christ, to preserve the supernatural life, and perfect the union of Charity. a. This it does by weakening the force of concupiscence within us. From the day of the Fall, we are prone to evil of every sort and especially to concupiscence. The evil inclinations, sometimes so strong within, would assuredly consume or expel the love of God in the human heart, unless their strength were weakened and their fires cooled by the mighty graces of Holy Communion. The presence therein of the Sanctity of God prevails over concupiscence, which is thereby tamed and subdued, in proportion to the fulness of our love and devotion in receiving this Sacrament. b. Then it wonderfully cools the passions of the heart. When the Sacred Body of the Lord enters our own, and His Precious Blood courses through our veins, we have a counterpoise to the allurements of sense, and a powerful means of overcoming the temptations of the flesh, so that our fallen nature is purified by its contact with the pure Humanity of Christ: body and soul are alike sanctified thereby, the passions are allayed and restrained. Granted water in sufficient abundance, no fire however fierce has ever been able to resist it. So the human passions cannot resist the all-restraining force of the Divine presence within us. c. In this manner, we grow in likeness to our Divine Guest, by the humility, meekness, and other virtues we are enabled to practise, and thus we come to live by Him, with a supernatural life, which is derived from Himself to us, and this is the first effect which the Holy Eucharist produces within us. As two friends living together insensibly take on each other's ways and come to resemble each other in habits of thought and conduct, so too is it with our souls in Holy Communion. 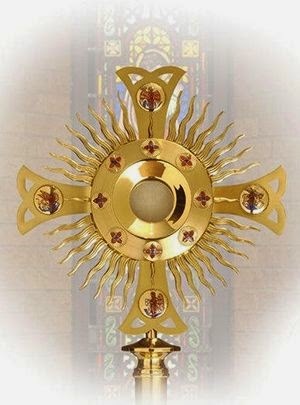 As then the Blessed Sacrament is in a special way the Life of the soul, we are clearly bound to receive It: " Except you eat the flesh of the son of man ... you shall not have life in you" (John vi. 54). For, if Our Lord was willing to give us His Flesh and Blood in this adorable Sacrament, to be the very life of our souls, surely He would mean us to approach and receive It; otherwise, His loving condescension would be of no avail, and His object in instituting the Sacrament would be frustrated. By means of it, we abide in Jesus, and He in us, He thus becoming the life of our souls. 2. The Food of the Soul. —When a child comes safely into the world, it has life and movement of its own, but this life needs to be supported and maintained by food suitable to its age and condition, otherwise it must soon waste away and die. So is it likewise with the supernatural life of the soul. Acquired at the font of Baptism, it too stands in need of food and support. Now, as the grace of God is the spiritual life of the soul thus imparted to it, so the Holy Eucharist is the spiritual food by which that life is preserved and strengthened. In a previous chapter, the manna, given to the Jews in the desert for their bodily support, was shown to be a lively image of this heavenly Bread, which is meant to be the food of our souls. The many points of resemblance between the two were there set out at some length, and need not to be repeated now ; here we have the type and the antitype. 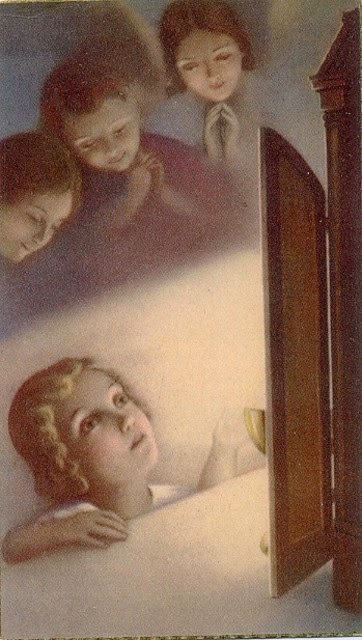 What it is important to know and remember is that, as the Holy Eucharist contains in Itself all sweetness and every grace, so we must approach the Altar often to receive it, in order that our soul may thrive and grow strong on this Bread of Heaven, just as our body needs frequent feeding, if it is not to languish and weaken. In the early ages of the Church, the fervour of the Faithful led them to go frequently, even daily, to receive their Lord in Holy Communion. In the course of time, however, that fervour began to cool down, and they failed to receive this Sacrament with anything like the regularity of earlier times, so much so, indeed, that the Church felt herself constrained to enact laws on the subject, and now obliged them to receive It on each of the three chief festivals of the ecclesiastical year, Christmas, Easter, and Pentecost. Then again as the ages went by, even this little the Faithful found to be too' heavy an obligation, and their zeal and love for Our Lord in His Sacrament of love became so weak and cold that a further relaxation in the law was granted; for the Church is a loving mother, and tries to adapt her laws and regulations to the weakness of her children. Thus it is that the fourth Council of Lateran, a.d. 1215, laid down the present law as to the reception of the Holy Eucharist, known as the fourth commandment of the Church, which runs as follows: " To receive the Blessed Sacrament at least once a year, and that at Easter or thereabouts.'' This is the existing law in our own day, and it is hard to see how the Church could carry her condescension any further, no matter how indifferent her children might become. For if, according to Our Lord's words, our souls cannot live, except we eat His Divine Flesh, we cannot well receive it less than once in the year, as our spiritual food : this would seem to be an irreducible minimum. The word " year" means a year reckoned from Easter to Easter, so that sometimes it may be a period of thirteen months, sometimes of eleven only, according to the dates on which Easter may fall in consecutive years. There is a considerable length of time allowed for the fulfilment of the duty, so that all may have time and opportunity for it, no matter what their occupation may be, no matter how busy their lives. In England, generally, the period fixed by authority of the Church begins on Ash Wednesday and lasts down to Low Sunday included — a period of nearly eight weeks—implied by the word "thereabouts." If this time expires without the obligation being complied with, the obligation itself does not thereby cease to bind, but remains in force and will do, till it is fulfilled ; it is like an honest debt, which must be paid. Easter is the time appointed for this duty, because the institution of the Eucharist took place near that festival. Moreover Our Lord on Easter day rose gloriously from the dead, the type of our rising from the tomb of sin, by sincere repentance : our resurrection to grace should coincide with His resurrection to life. Again, Easter falls in the spring-time of the year, when all nature revives and returns to fresh life and vigour. There would thus seem to be a real harmony between the natural and spiritual worlds, if our souls, too, at this time be refreshed and reinvigorated by a fervent reception of the Holy Eucharist, their Divine food, as the trees and flowers receive the new sap of returning life. The Faithful would do well to try and make their " Easter duty," as it is commonly called, early on in Lent: this greatly helps to make sure that it shall be done. If, as too often is the case, some delay and put off and off to the end of the prescribed time, it may easily be, and at times does happen, that something or other comes in the way to prevent their obeying the law, and as the time is at an end, they suddenly discover that the allotted period is past and they have not fulfilled the paschal precept. The punishment ordered by the Church to be inflicted on such as fail in this weighty obligation is deprivation of Christian burial, if they die without repairing the omission. This penalty, it is true, is not nowadays usually enforced, but at least it shows us what the mind of the Church is in regard to this important command, for it is one that binds under pain of mortal sin, to die in which involves, of course, eternal damnation. No wonder then the Church decrees a punishment against such rebellious subjects as refuse to comply with her wishes. S. Gregory the Great was once saying Mass for one who had died some time before. While he was saying Requiem ӕternam, at the Introit, he heard a voice saying : "I shall never have eternal rest." Thinking it to be an illusion, the Saint recommenced the Introit, and again heard the same distressing voice. He continued, however, and completed the Holy Sacrifice, then God made known to him that the unhappy man for whom he was praying was lost eternally, for having, deliberately and through his own fault, omitted to fulfil the precept of Easter Communion, on account of some injury he refused to pardon. It is very desirable that the Faithful should receive their Easter Communion in their own parish church, so as to edify thereby the members of their own congregation and avoid scandal amongst them, who might reasonably suppose they had neglected it, and at the same time afford satisfaction and pleasure to the pastor of their souls, who rejoices to feed them with his own hand, and personally give them this heavenly Bread, as the spiritual food of their souls. It is true that in England, the Easter precept may be fulfilled in any parish, but one's own is the natural place wherein to make it. In some Catholic countries, it is, or used to be, of obligation for each one to receive at least Easter Communion in his own parish church ; such, at any rate, is still the Catholic spirit which the Faithful should try to follow; this should be their guide in such matters, so far as may lie within their power. In the Lateran decree will be noted the words, " at least" once a year. The law does not limit the Faithful to one Communion a year, but binds them to receive it at least once in that time. On the contrary, the Church's desire is, and ever has been, that the Faithful should approach frequently to the Holy Table, so as to increase the strength of their souls and enable them to avoid tepidity and sin. As the body needs abundant nourishment, so too does the soul. The early Christians, as history testifies, communicated every day, and the present Holy Father, Pius X., is endeavouring to bring back the ancient practice amongst us, for all classes of people, the perfect and the imperfect alike : the former that they may grow in perfection, the latter that they may become perfect. On this subject, a lengthy chapter will follow. Meanwhile, we can remember that the second object of Our Lord's giving Himself to us in the Holy Eucharist is that He may truly become the Food of our souls. 3. Strength in Temptation. —When God sent His destroying Angel, in the darkness of the night through the land of Egypt, to slay the first-born in every house of the Egyptians, as a punishment for their refusal to release the Israelites from slavery, the Angel passed over the houses of the Chosen People, for their doorposts were marked with the blood of the Paschal Lamb, and death did not enter there (Exod. xii. 23). We may find here an image of what takes place in the souls of those who receive Holy Communion in worthy dispositions. They are washed in the Precious Blood of the Lamb, and thereby are strengthened to resist the assaults of the ministers of death, Satan and his angels. 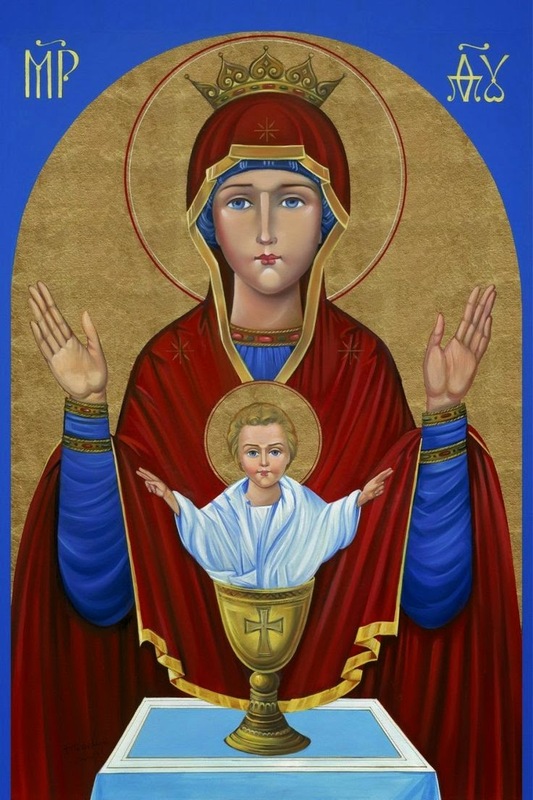 They are fortified and invigorated by this "wine which brings forth virgins," and enabled to withstand most effectively such temptations as may assail them, especially temptations against the holy Virtue. The Devil seems to lose power over souls that are sprinkled with the Blood of Christ in Holy Communion. Not that the Holy Eucharist frees us from temptation, for "the life of man upon earth is a warfare" (Job vii. 1), and this warfare will only cease with our last breath, but it is that by frequent reception of this most holy Sacrament, we gain special grace and strength to resist and overcome temptation. The world in which we live and move is as a fire, through which we have to pass, and, left to ourselves, it would be impossible for us to escape without injury to our souls. But bathed as they may be in Our Lord's Precious Blood, they are to a great extent rendered proof against the voice of the Tempter. The three children in the fiery furnace walked in the midst of the flames, praising God ; not a hair of their heads was singed, nor their garments altered, nor did the smell of fire pass over them. They went out from amid the fire without hurt or harm of any kind, for the Angel of the Lord went down and drove the flames away from them (Dan. iii.). Why were they not consumed ? Because of the angel who was with them in the midst of the flames. After Communion, there is one greater than angels within us, the God of infinite power and strength, who fights our battles and leads us to victory. Thus does this Sacrament protect us against the fires of temptation, spread like a net over the face of the earth, for, go where we will, temptation is ever at our side, even in the holiest of places, and at the most solemn moments. What seems to be a well authenticated instance of the power of Holy Communion over even the flames of material fire is related of a young child in Constantinople, in the sixth century. It was the custom then, when the Blessed Sacrament was renewed in the Ciborium, to distribute among young and innocent children the sacred Hosts that remained from the last consecration. It happened one day that a little Jewish boy was brought from the schools, along with the other children, for this purpose, and received Communion with them. On reaching home, his father who was a glass-founder by trade, questioned him as to the cause of his returning so late from school. The child related very simply what had happened, whereupon the father, blinded by fury and by bitter hatred of the Christian Religion, seized the child and flung him into the red-hot furnace, where the glass was melted. The mother, unaware of what had happened, filled the house with her cries and lamentations, on discovering her loss. She sought everywhere her missing child, and on the third day, chancing to pass by the furnace, heard a voice calling her by name. On opening the furnace door, she beheld her child seated in the midst of the flames, alive and uninjured by the raging fire. In reply to his mother's anxious inquiries he said, on being delivered : " A lady in purple often came to me during these days and threw water around me to put out the fire : she also brought me food." The whole city was soon filled with the news of this prodigy, which resulted in the immediate conversion of the mother and child. The unhappy father remained unmoved, and was condemned to death by the Emperor Justinian for attempting the murder of his child, through hatred of the Catholic doctrine of the Eucharist. If the Holy Communion could thus preserve a child's body from the flames of material fire in a glass-furnace, what may we not expect it to do when our souls are encompassed by the fires of temptation of many kinds and of persistent violence? Hence it is that souls sorely tried are strongly urged and recommended to go frequently to the Holy Table, that they may bathe in the Precious Blood of their Saviour, and so be fortified to resist all the fiery darts of the Wicked One. No more efficacious remedy can be suggested to them, for one of the great effects of the Eucharist is that it bestows strength on the soul in time of temptation. 4. Remission of Venial Sin. —Of its own efficacy, the Holy Eucharist destroys venial sin in the soul, not directly as sacramental absolution does, but indirectly by exciting in it acts of charity, including hatred of the sin. For of course every sin, no matter how trifling it may seem, must be repented of in the heart before God can ever forgive it. This effect of Holy Communion ought to be to the devout Christian a source of comfort and delight—that his daily faults of vanity, impatience, self-seeking, and the rest, which he truly regrets, are blotted out from his soul by his fervent communions, and not only the sins themselves, but also some of the punishment due to them, so that the devout Communicant may look forward with confidence to a short purgatory. What an incentive to make us approach worthily this great Sacrament, and also frequently, seeing what a purifying influence it exerts over the soul! 5. Courage for the Fulfilment of Duty. — When we read the lives of the Saints and of the Fathers of the Church, still more the lives of the Martyrs, we are amazed at the heroic courage they displayed in times of opposition and trial, and especially amid the tortures and torments of martyrdom. These oftentimes were of the most barbarous and brutal kind, invented by the fiendish ingenuity of inhuman rulers. And yet the Martyrs faced them all, and bore them with a smile upon their lips, going cheerfully to prison and death for the Faith. Confessors and Christian missionaries have braved without flinching the difficulties and dangers that confronted them in their various undertakings for the glory of God. But whence all this courage ? Whence this devotion to duty ? Where did these servants of God receive the fortitude and endurance they displayed in the midst of their trials? It was from the fervent reception of Holy Communion. This great gift of God was the source of their strength. In the first ages, when the Faithful suffered such grievous persecutions, it was customary to entrust the Blessed Sacrament under the form of bread to their pious care, for the purpose of being conveyed to prisoners for the Faith, or to be privately received by themselves at home, should the danger of being-apprehended suddenly present itself, that they might partake of this Food of the strong, and gain strength for the contest. The acolyte, S. Tharcisius, was arrested by the pagans whilst carrying the consecrated Host on one of these occasions, and was stoned to death because he would not betray it to them. [Rock, Hierurgia, 197. The Annals of the Propagation of the Faith relate that, during a cruel persecution that raged against the Christian Religion in the kingdom of Tongking, the power and efficacy of the Eucharist in sustaining the courage of the martyrs was manifest even to the infidels. While the glorious champions of Christ were cruelly racked and scourged, or their flesh was torn off their bones with pincers, the holy name of Jesus was ever on their lips, and they continued to profess the Faith with undaunted courage. The Mandarins, amazed at a fortitude so far beyond the power of human nature, attributed it with truth to the heavenly Food which the Christians partook of in their assemblies. -Truly," they would say, "this man has been eating of that enchanted bread which casts a spell over the soul!" A gentleman once went to visit a hospital that was under the care of nuns. At the time of his visit, an operation had to be performed on one of the patients, which caused her intense pain, and her cries of anguish resounded throughout the house. This gentleman could not endure them, and instantly left the ward. The Sisters alone remained, calm and firm, at the side of the poor woman. "How can these good Sisters stand there so courageously," he asked of the Superioress, "when even I, who have strong nerves, can bear it no longer ?" "Sir," she replied, pointing to the Tabernacle in their little chapel, "it is there that they get the courage and strength which you so much admire. It is Jesus Himself who gives it to them in the Holy Eucharist." Why should not we also go to the Tabernacle to obtain courage and strength in our trials ? Instead of murmuring at our lot, or rebelling against Providence (which will not remove our difficulties, but on the contrary make us chafe the more under their weight), let us go to the source whence Saints and Martyrs drew their fortitude and courage, and we shall be able, like them, to face our responsibilities and fulfil our duty, in spite of all repugnance and of every obstacle, and even to rejoice, as they did, in that which to flesh and blood is unpleasant. Our experience will justify our wisdom in adopting this course. 6. Spiritual Sweetness. —Sometimes gladness and joy inundate the soul, when Our Lord becomes her guest in Holy Communion. We read of Saints who have been thus favoured of God, and have even experienced delicious tastes in the mouth, when receiving the Blessed Sacrament. This is not a usual effect of the Holy Eucharist, still less a necessary one, but rather a favour sometimes granted through the goodness of God, perhaps to encourage souls in the path of virtue, especially converts or beginners in the spiritual life, or again, to console those who have just risen from the tomb of sin to a sincere resolution of leading now a better life. It is like giving sweets to little children to please them, and encourage them on to do well. S. Rose of Lima seems to have been in an especial manner thus favoured by Heaven. The delight of her soul in Holy Communion was reflected in the fire that sparkled in her countenance, betraying the flames of love that consumed her heart. We read of a similar privilege bestowed on the holy widow, S. Ida. Yet after all, this sweetness is but a favour, and usually a passing one only, and is not necessary for us. On the contrary, it might to some even prove a danger; for it is quite possible that we should incline to love and serve God, merely for the delights bestowed in Holy Communion, and if the sweetness were withdrawn, we might cease to love Him then for His own sake, while in time of trial, we might even come to betray Him! Hence, to guard our humility, and prevent our being puffed up at the thought of such favours being granted, God, in His wisdom, usually allows the soul only a limited pleasure and delight in receiving the Sacraments. In some cases, He even tries souls by allowing aridity and dryness to overtake them, as was the case with S. Teresa, whose desolation of spirit, in spite of her frequent Communions, lasted, for her greater merit and reward, even for many years in succession. Still, it is true to say that spiritual sweetness and tenderness are oftentimes one of the results of a good Holy Communion. " O taste and see that the Lord is sweet" (Ps. xxxiii. 9). In any case, sweetness or encouragement is granted towards the fulfilment of duty, and the performance of works of Charity, as just seen under the previous heading. 7. Germ of Glory. —In the Incarnation, Our Lord took on Himself the nature of man, and thereby became united in blood to the whole human race ; while in Holy Communion, He is bodily united to the individual souls of men. Through this close and wonderful union which Our Lord thus deigns to effect with us, we grow more and more in grace here, which is the seed of eternal glory hereafter. S. Paul reminds us that our body becomes part of the Body of Christ (Eph. v. 30). Now to the Body of Our Lord eternal glory is certainly due, and hence to us also, as members of His Body, His flesh and bone. The Holy Eucharist confers upon us a right and title to a future glorious resurrection, according to the promise of Our Lord Himself: " I will raise him up in the last day" (John vi. 55). The germ of glory, then, is planted in our body, and lies, as it were, dormant during the long winter of the grave, but, when the spring returns, when the Resurrection is announced, in the fulness of God's time, then will this germ spring forth into the bloom and beauty of a glorified body for eternity. Hence the anxiety of the Church to bestow Holy Communion as early as she can on the young ones of her flock, that they may have this germ of glory planted in good time within them, so that, called to God in youth or in old age, they may be fully entitled to a glorious eternity in His presence; formerly Holy Communion was given to children just after their Baptism. See here the magnificent results that flow from the worthy reception of Holy Communion. See the many fruits we may gather from this beautiful Tree of Life planted by Our Lord in His Church for our use! See what are the inward graces bestowed by the Sacrament of the Eucharist! Can we be surprised that the Church, for the benefit of their souls, insists on all the Faithful receiving it at any rate once in the year ? And can we not understand her earnest desire to see us approach frequently, very frequently, even daily, to this abundant source of all spiritual good ? This question of frequent Communion must be the subject of a separate chapter.